For Sale or Lease - Qualified Opportunity Zone. High quality warehouse with office space. Lease entire building or Lease offices on the first and second floor; conference room. Very nice office space multiple offices available. Well constructed warehouse. 3+ acre nice setting. Room for expansion. Former location of Stasis Audi modification plant. 6,000 SF Warehouse w/2 16' OH doors and 20 ' roof. Heavy duty metal walls and roof. Ware house has garage door, automatic, 16'x 10, also loading dock with roll up door. Also about 3,000 SF office/meeting rooms on 2 levels. Paved parking for 40 cars + loading dock for trailers. Concrete slab. Extra heavy steel roof. Heavy insulation. Current M2M lease gymnastics school. 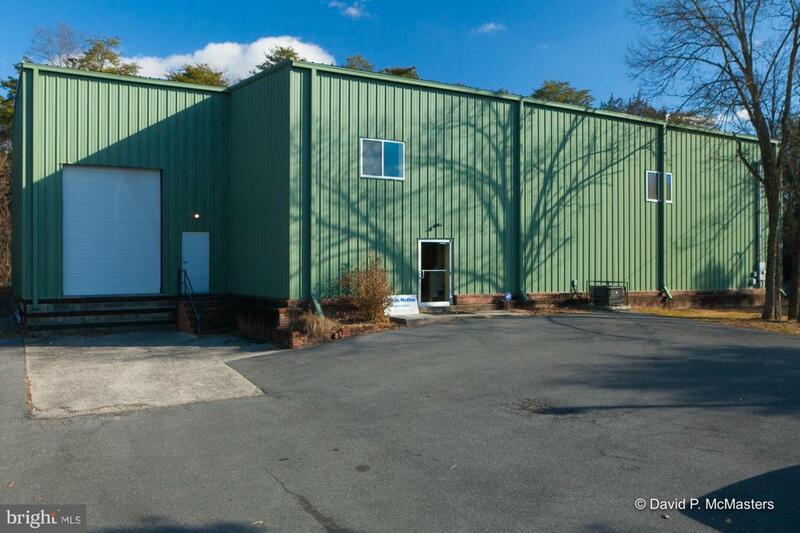 Owner financing possible w/ $100,000 down Centrally located for Berkeley, Jefferson Counties, WV., Frederick County Va., Ware house or recreational facility; lots of possibilities for this exceptional handsome facility.